Why He’s The One: This is the second time we’re honoring Carlos. The first time was way back in 2008 when he distinguished himself as a rookie in the busy kitchen at Hobee’s Pruneyard. Over the years, he’s just gotten better. Today, Carlos is a he is a vital force in the back house at Hobee’s Montague. Several nominators mentioned his efficiency, professionalism and positive attitude. 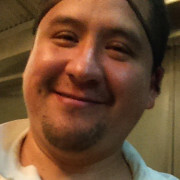 General Manager Felipe Zarate says that Carlos is a great team player and is able to handle big rushes with ease. (This is great for us since Montague has posted higher sales gains than any other location in 2015!) We pleased to honor Carlos as our latest Star Employee of the Month. Why She’s The One: We’ve gotten in the habit of honoring Melissa. She was an Employee of the Month three years ago and is also one of our finalists for Outstanding General Manager in this year’s Hobee’s Achievement Awards. Nevertheless, we couldn’t pass up the chance to thank her for her time at Hobee’s Montague before she transfers back to Hobee’s Palo Alto in 2015. The sales jump at Montague in the Levi’s Stadium era has been astonishing: The restaurant posted a gain of over 20% in November! Throughout it all, Melissa has been extremely focused on service and preparing her crew for big business. Melissa is also a super star networker and attends many after hours events to market the restaurant. We’re pleased to honor Melissa as our latest Star Employee of the Month. Why He’s The One: This month’s award is a nice complement to last month’s presentation: Like July’s Star Employee, Alvaro Moreno, Marcos has spent nearly 16 years working for Hobee’s. 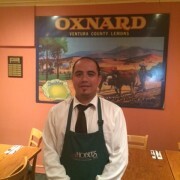 And like Alvaro, Marcos has become one of the company’s most dependable and respected servers. Back in 1998, Marcos started as a Host at Hobee’s Stanford. He spent about 4 years learning this job well and perfecting his English at school. Once he felt comfortable enough, he took on server training and has excelled at that position ever since. Marcos has worked at several Hobee’s, but now calls Mountain View home. Several of his Mountain View co-workers nominated him for this honor. They cited his ever-present smile, helpful attitude and superb customer service skills as proof of his excellence. 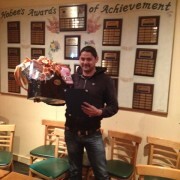 We’re pleased to honor Marcos as our latest Star Employee of the Month. Why He’s The One: Alvaro demonstrates the qualities that make a server a true professional instead of a mere order taker. He takes a smooth, conversational approach with his guests and takes time to explain menu items and describe the specials. On Palo Alto’s most recent secret shopper report, the evaluator ordered a special because Alvaro made the item sound particularly delicious. Because of his talent to engage, Alvaro has attracted a devoted group of regulars throughout his 16 years at Hobee’s. He is quick, hard working and has a great sense of humor. 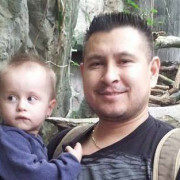 We’re pleased to honor Alvaro as our latest Star Employee of the Month. Length of Service: 27 Years Next Month! Why He’s The One: A two-time Outstanding Kitchen Manager award-winner, Antonio has been a Hobee’s stalwart for a very long time. He has worked at various Hobee’s kitchens for nearly 27 years. He spent many years at Hobee’s Mountain View before transferring to Pruneyard. Antonio is calm, polite and produces exceptional food. A major reason for this recognition is what he has done since Pruneyard closed in January: He gamely and patiently traveled to every other location to cover vacations for kitchen staff. That’s a long time to be without a home, but Antonio never complained. We look forward to seeing him in action at his new post at Redwood Shores. 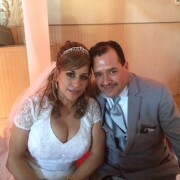 We also send hearty congratulations to Antonio and his wife Alicia. This month they celebrated twenty-five years of marriage and held a beautiful ceremony to mark the occasion. Why He’s The One: Carlos was recently named our 2013 Paul Taber Commitment to Excellence Award winner, the company’s biggest honor. Shortly after Carlos began working in the kitchen at Hobee’s Palo Alto in 1995, co-owner Peter Taber discovered that he was an incredibly talented and resourceful handyman. 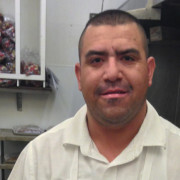 Peter soon hired Carlos to be Hobee’s full-time maintenance supervisor (a terrific decision). Carlos works diligently – days, nights and weekends – to perform repairs, preventative maintenance and respond to emergencies. He had an especially busy period beginning in January 2013 as he oversaw the winding down and dismantling of three restaurant locations. Each of these projects produced unanticipated challenges and involved tight deadlines. Carlos handled his responsibilities flawlessly. We’re so proud of his many accomplishments and congratulate Carlos on his awards! Why He’s The One: Mario caught our attention last year when he was named Rookie of the Year in the Hobee’s Achievement Award program. The honor was not a fluke: Mario continues to be one of our most exceptional Hosts. According to his General Manager, Melissa Talbot: “Mario is a star because of his amazing hospitality skills and his consistent commitment to exceed our standards with a smile and a positive attitude. Now that business at the restaurant is cranking up with all of the surrounding development, the crew looks to Mario as an upbeat inspiration. We’re proud of Mario and his ability to build on his award-winning first year! Why She’s The One: One of the things we love most about Adriana is her flexibility and willingness to roll with the punches. 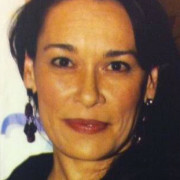 Originally hired to work at Hobee’s Stanford, she eventually transferred to both Pruneyard and Los Gatos. See a pattern? Yes, she worked for all three stores that closed within twelve months! Despite that unfortunate coincidence, Adriana took on each new assignment with a smile and a terrific attitude. She is a very warm, caring presence in the dining room and provides excellent customer service. In fact, during Palo Alto’s first two “secret shopper” visits of the year, Adriana and her crew nabbed two consecutive 100% scores. That’s a perfect testament to her hard work. Congratulations, Adriana! Why He’s The One: This is a second win for Roque. Not only does Roque handle every combination that his busy kitchen can throw at him, he also rolls with the punches of very large Waiter.com orders without flinching. He can bob and weave his way through an intense lunch rush with no sweat on his brow, with food quality and presentation that any server at Hobee’s would be proud to serve. He goes toe to toe with the best of them, and often lends his creative expertise in creating new dishes. 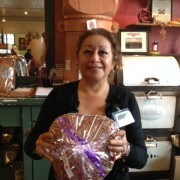 The now famous pumpkin-walnut coffeecake was Roque’s experiment, and we all know how popular that has become! We’re proud of Roque; he is our Champion for October! Why He’s The One: Abael is just shy of a decade at Hobee’s Pruneyard. During that time, he has clearly gained the admiration of his co-workers: Ten of them nominated him for this honor. 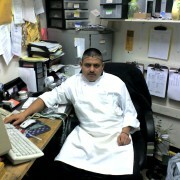 According to General Manager Felipe Zarate, Abael has a very strong work ethic and an eye for detail. He sets up the salad bar with great care and precision. He is easy going and willing to help others. Even when it’s slammed, he has a great attitude and keeps a strong, steady pace. We’re proud of Abael and glad to award him this distinction!